An installation / performance with six monumental portraits in wax and composition by Wouter Snoei, a production by VocaalLAB. An installation with three monumental portraits of metal on canvas, each 180 x 240 cm. and computer controlled sound. A production of VocaalLAB with a musical composition from Wouter Snoei. An installation with nine portraits of Jiang Qing, painted in oil, miniatures of cranes and computer-controlled sound. The text by Gerard Harleman is sung by Monique Krüs. 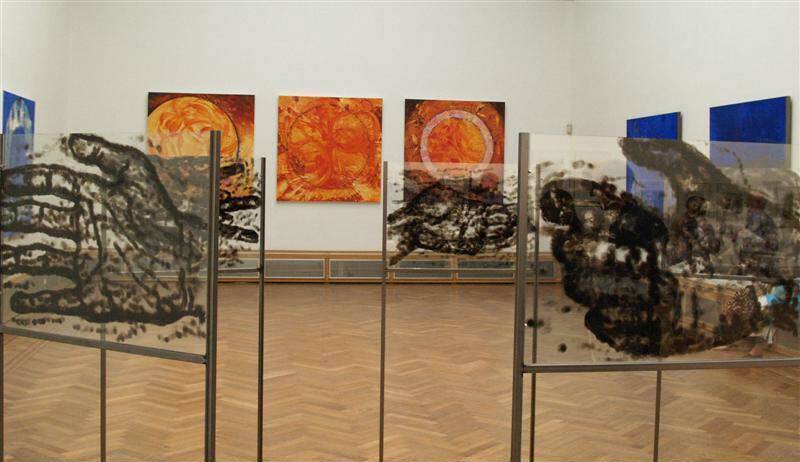 An installation with six smoke paintings on glass and computer-controlled sound. Created in collaboration with Gerard Harleman, musical performance by Gudrun Verkampt and Milan Lauwers.